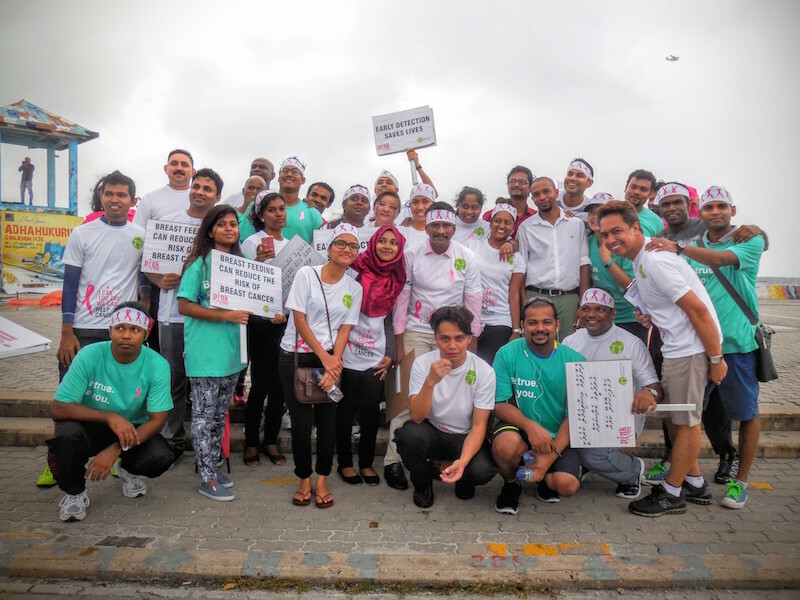 Hotel Jen Malé Maldives had a meaningful journey in October 2015 with collaboration with Cancer Society of Maldives in efforts to create awareness of Cancer through Pink Ribbon campaign “I can You Can We Can Help Cancer”. The journey started with the campaign “Table Tennis for Cancer”, organized by Cancer Society at Huravee Building where volunteers were managing the event talking about cancer and distributing pamphlets and flyers and encouraging public support for fundraising or simply play table tennis to keep a marathon going from10:00 am to 3:00 pm from11th to13th. Hotel Jen’s staff and friends were there daily on the table tennis as well as providing take-away luncheons for all the volunteers. 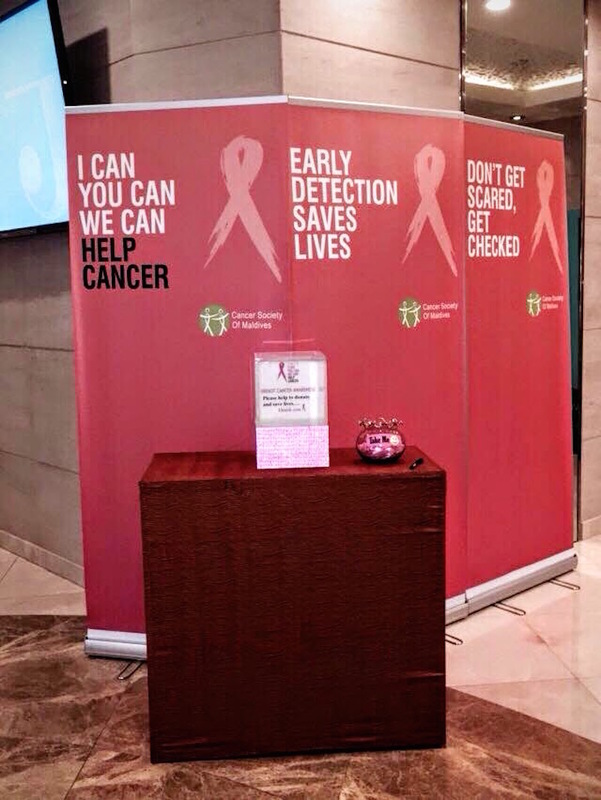 The fund raising at Hotel Jen was also happening throughout the month, with eye-catching pink banners inviting guests and public to drop some change and pick up the pink ribbon and wear it to show support. 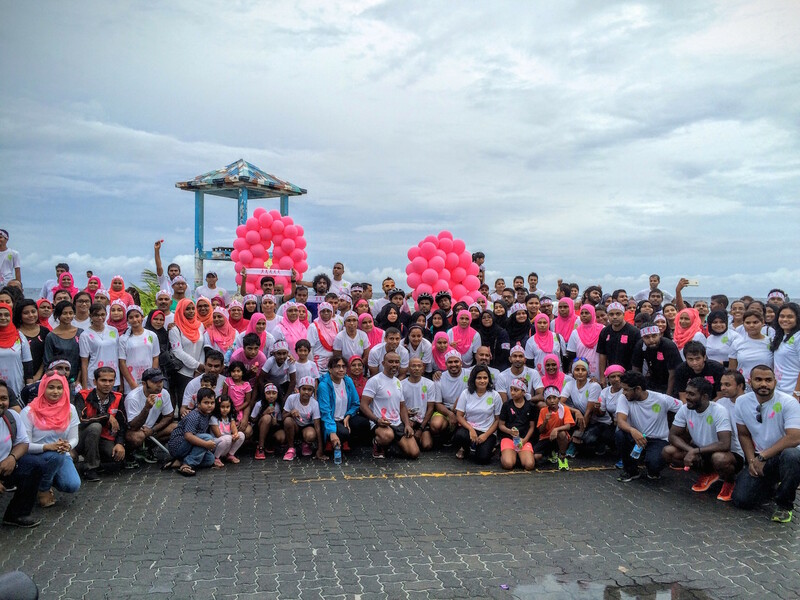 On 24 October, a total of 39 Hotel Jen members including the General Manager and other senior members supported the RUN/WALK Cancer Walk. Hotel Jen also invited cyclists from the World Bicycle Tour group from Nepal who is another hotel CSR partner to participate in this event. Despite the heavy downpour and strong winds, the 5km “cycle, run, walk” was successfully completed. It may have been a damp journey but spirits and morale was flying high. 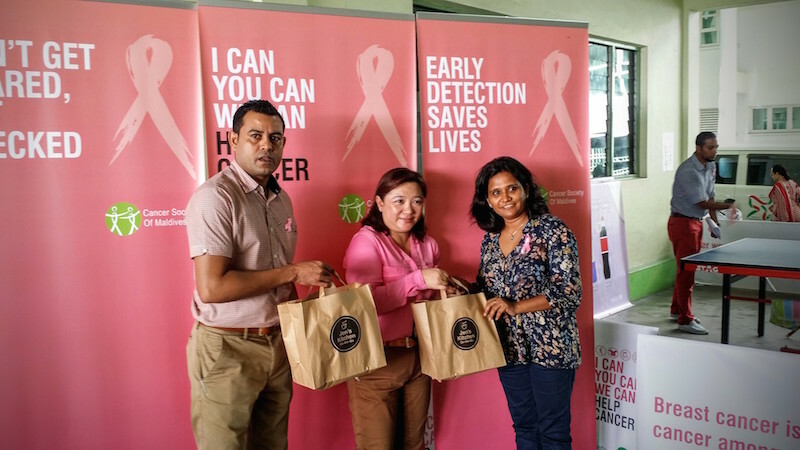 Hotel Jen’s Director of Human Resources, Goh Kon Len, said “we are very proud and honored to join the Pink ribbon campaign 2015 which is our 3rd partnership supporting Cancer Awareness campaigns in Malé, Maldives and we look forward to continuing this journey for many more years. This is only possible because Hotel Jen has a highly motivated staff force that is committed in CSR activities; they are forward coming to support and pledge. And it is very heartwarming to see many of our male colleagues pledging support for Breast Cancer Awareness and it is gratifying for me that we are breaking through the gender barrier”. 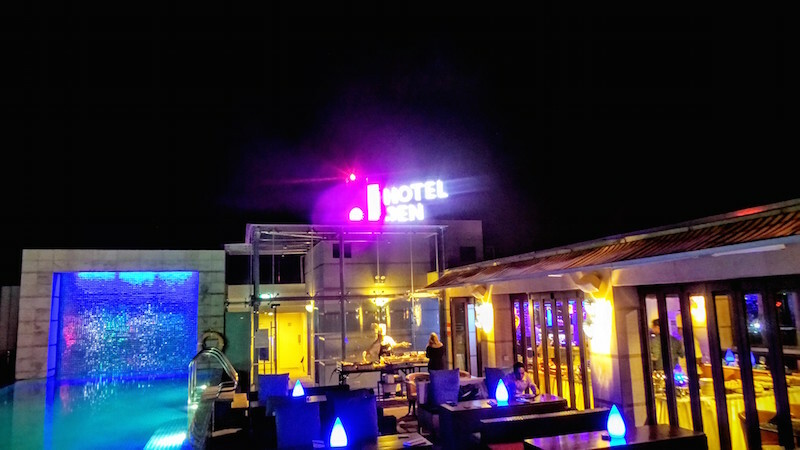 Kon Len further added that Hotel Jen also chose to change the color of “J” in both the ground and roof top logo to PINK throughout October to show wholesome support and embrace of this campaign. Hotel Jen hopes to wrap up the fund raising on 31st October 2015 and handover the collection to Cancer Society of Maldives in November and wishes to thank everyone for their support and cheer.